Modern medicine has become increasingly sophisticated and specialized, and a variety of health care professionals, including physicians and nurses, provide patients with health care. It is therefore necessary for these health care specialists, or professionals working in various medical fields, to communicate with each other, design optimal health care for each patient, and share their roles in an effective manner. Since its establishment, Gunma University Graduate School of Health Sciences and the School of Health Sciences, has placed special emphasis on interprofessional collaboration among nurses, public health nurses, midwives, clinical laboratory technologists, and physical and occupational therapists. In close collaboration with the School of Medicine, we have implemented curriculums that allow undergraduate students of the Schools of “Health Sciences” and “Medicine” to learn in the same classes to prepare them for interprofessional health care. These efforts implemented by the university, designated as “Simulated Interprofessional Training among Students of Different Professions in Health Sciences and Medicine” (2007 to 2009) and “Interprofessional Education for Comprehensive Undergraduate Training among Students in Health Sciences and Medicine” (2010 to 2012) – “The Support Program for Distinctive University Education (Distinctive Good Practice)” by the Ministry of Education, Culture, Sports, Science, and Technology, have contributed to the promotion of interprofessional education, based on a wealth of experience and achievements. With the aim of promoting interprofessional health care systems, we have strengthened collaboration with other universities through a variety of activities, such as the organization of the Japan Interprofessional Working and Education Network (JIPWEN). We have also promoted training of health care professionals in Asia, such as the introduction of an educational program for rehabilitation in Mongolia. Over a long period of time, we have contributed to the training of health care specialists and promotion of interprofessional health care at global levels through dispatching personnel to the WHO and working with it. 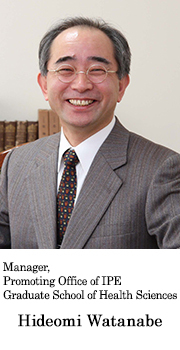 In this age of the Internet and information-sharing across the world, the WHO Collaborating Centre was established in Gunma University based on a global perspective. The center has facilitated interprofessional collaboration as a future form of health care, and is expected to nurture a number of excellent health care professionals responsible for the future of interprofessional health care. The Japan Interprofessional Working and Education Network (JIPWEN) has been established in 2008 by 10 universities (now 11). The initiatives of these institutions have been approved as Good Practices by the Japanese Government. Gunma University, as Coordinator University, is designated a WHO Collaborating Centre for research and training on Interprofessional Education. The JIPWEN mission first visited Department of Human Resource for Health (HRH) in WHO Headquarter (WHO/HQ) in December 2008 and recognized the WHO global strategy on HRH. In accordance with these recognitions, WHO/JIPWEN action plan has been developed. JIPWEN held annual International Symposia in 2009, 2011, and 2012 at Maebashi, Japan. JIPWEN faculty staff participated in the 2nd Global Forums on HRH (Bangkok in 2011), the 7th Asia-Pacific Action Alliance on HRH (AAAH) annual conference (Bangkok in 2012), and Workshop on Health Professional Education in the Western Pacific Region (WPR) (Manila in 2013), and presented the importance of IPE in scaling up of health professional education. JIPWEN participated in the Organizing Committee of an international IPE conference, All Together Better Health VI (Kobe in 2012) and distributed the WPR strategy in HRH. In terms of research activity, JIPWEN published an English book ”Advanced initiatives in Interprofessional Education in Japan” in 2010, and original articles in journals of Human Resources for Health (2009) and Journal of Interprofessional Care (2012). Four members of faculty staff worked at WHO/HQ, WHO WPR Office (WHO/WPRO), and the WHO partner, Global Health Workforce Alliance (GHWA) as a volunteer. Their activities contributed to the issue of WHO Education Guidelines 2013. Through these collaborating activities, the JIPWEN recognized the importance of comprehensive pre-qualified IPE curricula in the WHO global strategy on HRH. We would be happy if we could contribute to educational approach to scaling up health professional education at rural, national, regional, and global levels. The Millennium Development Goals (MDGs) are derived from the United Nations Millennium Declaration, and seek to combat the poverty, hungry, disease, illiteracy, environmental degradation, and discrimination against women. The MDGs are supposed to be achieved by 2015. Despite many efforts around the world to achieve the MDGs, there are a number of areas where progress remains slow. The World Health Organization (WHO) reports that the shortage of health workers is a critical barrier to achieving the health-related MDGs and also recognizes that interprofessional collaboration in education and practice will play an important role in mitigating the global workforce crisis. 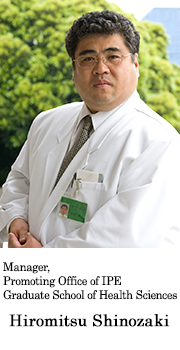 Gunma University was designated as a WHO Collaborating Centre for Research and Training on Interprofessional Education by the regional director of the World Health Organization Regional Office for the Western Pacific on July 22, 2013. 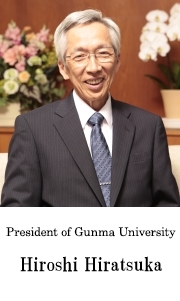 Gunma University has become an institution for promoting the education and training of interprofessional education according to the terms of references with WHO. The activities are implemented in collaboration with the Japan Interprofessional Working and Education Network (JIPWEN) which is organized by Sapporo Medical University, Niigata University of Health and Welfare, University of Tsukuba, Saitama Prefectural University, Jikei University, Keio University, Chiba University, Kitasato University, Kobe University, Tokyo Metropolitan University, and Gunma University. Gunma University Graduate School of Health Sciences has launched the Promotion Office of Interprofessional Education (POIPE) in order to play a central role within the WHO Collaborating Centre for Research and Training on Interprofessional Education. The POIPE will promote the international activities of the center and facilitate interprofessional education at Gunma University. The POIPE will contribute to the sustainability and the quality assurance of the center through the development of human resources with global perspectives and leaders for the next generation.